The New England Patriots last faced off against the Buffalo Bills on Oct. 30, 2016 when the Patriots won in a score of 41-25. 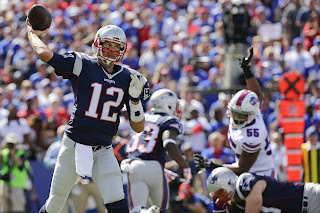 Quarterback Tom Brady threw for 315 yards and four touchdowns to improve to a 26-3 record against the Buffalo Bills over his career. This achievement matched a record set by Brett Favre for most wins against one opponent (26). He will attempt to break this record this coming Sunday. The Bills scored a field goal early on to start the game, but Brady fired back with two touchdowns on New England’s first two drives. The Patriots went on to score 27 points over five possessions to help bring home the victory. Tight end Rob Gronkowski had a very strong showing in his homecoming. The 28-year-old grew up in Buffalo and put forth a five-catch, 109-yard outing in front of his family and friends. His stats included a 53-yard touchdown catch. Danny Amendola had a 73-yard kickoff return to open the second half to help New England put another score on the board. The Patriots punted just three times this game and converted nine of 13 third-down opportunities. 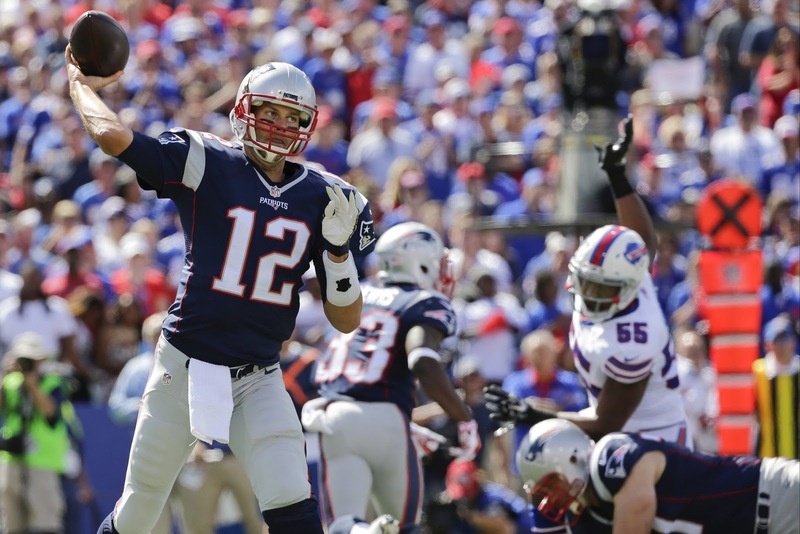 Tom Brady went 22-of-33 for 315 yards and four touchdowns, while Tyrod Taylor completed 19-of-38 for 183 yards. EJ Manuel completed just one of two passes for 35 yards. LeGarrette Blount led New England’s rushing attempts as he carried the ball 18 times for 43 yards and one touchdown. Tom Brady was tied with James White for second in rushing yards with 15 apiece. Former Bill and current Patriots Mike Gillislee rushed 12 times for 85 yards and one touchdown, while Tyrod Taylor carried the ball five times for 48 yards and one score. Jonathan Williams also added a rushing touchdown for Buffalo. New England’s receiving was led by Rob Gronkowski who caught five passes for 109 yards and one touchdown. Chris Hogan was next with four receptions and 91 yards. The longest reception for both of them was 53 yards. Julian Edelman and Danny Amendola each added a receiving touchdown for New England. Buffalo’s receiving efforts were led by Walter Powell who caught three passes for 59 yards and Robert Woods who had four receptions for 50 yards. 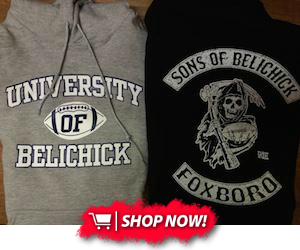 Dont’a Hightower led New England’s defense with six total tackles, including four solo. Devin McCourty, Trey Flowers, Patrick Chung and Elandon Roberts all added five total tackles on the day. Flowers also notched two sacks in the stat books. Buffalo’s defense gave Brady some difficulty as they had five sacks in the game. Zach Brown, Preston Brown, Marcell Dareus, Shaq Lawson and Kyle Williams all got through the line and were able to get to the Patriots’ QB. Robert Blanton and Zach Brown led the way with 11 total tackles each. The New England Patriots will travel to Orchard Park, NY on Sunday, Dec. 3 for their first of two meetings with the Buffalo Bills. Game time is set for 1pm at New Era Field.